Today, I’m gonna tell you the best ways of earning Free Paytm Cash & that too in easy way! For that, you will need an android smartphone & wifi/mobile data connection. Let’s get started..
It’s proven that Paytm wallet is one of the best & safest way of sending/storing money. Even we can pay at several merchants like Swiggy, Foodpanda through this wallet. Slide App is another great option for those who don’t want to waste time in downloading spammy apps to get cash. Just unlock your phone normally as you do & get paid instantly! If you are one who absolutely loves to read news articles & viral stories then there’s no meaning in missing this great opportunity. Apart from this, you also get 5 Rs per every referral. You earn points for each unlock & points can be redeemed against paytm cash, mobikwik money & mobile recharges. Do you like to play mini games? Then install Bulb Smash app in your android phone right now. It’s really an addictive game with cool graphics & dynamic animations. It reminds me of a popular game angry bird where we have to hit the target using slingshot. Same concept is used in bulb smash. Just pull the slingshot and smash the glowing bulb. After downloading it, you get 10 Rs signup bonus. App also pays Rs 5 per friend who joins them using your referral link. Apart from paytm cash, you can also redeem points for mobile recharges. Who would not like to earn paytm cash by just playing games? This concept itself sounds interesting and trust me, it’s more fun than you imagine. Kapow is one such app which literally rewards you real cash for enjoying game with friends. After logging in with facebook you are taken to gaming section which include various categories like action, adventure, trivia, puzzles etc. You can challenge your friend and earn free cash once both of you finish the game. Pocket Money also known as Pokkt is one of the most popular & heavily downloaded app. Almost 1 million people are using it daily for earning free recharges. Just before few days, they rolled out an update which has brought several major changes. And the great part is, they now support Paytm wallet option. Yes! 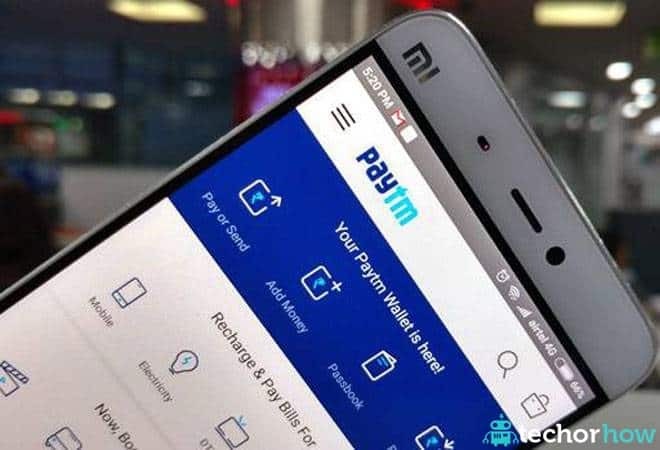 Now you can easily transfer upto Rs 100 daily to paytm from Pocket money app. This will help you in earning free paytm cash (max 300 Rs a week). NewsDog is one of the most popular news app available on play store which manifests world news, local occurrences & some entertaining stuffs related to celebrities. These news can be saved in your phone directly which you can read later in leisure time. Databuddy usually lists high paying applications, surveys and some cool games on their wall. As you go on completing those task, you start getting money in wallet. Using that money, you can do free prepaid mobile recharge on all mobile operators including Jio. You get 5 rs as soon as your invited friend joins Databuddy app and registers an account using unique mobile number. Within 24 hours of installation, if they get success in doing their 1st recharge, you get rewarded with another 10 rs. Isn’t it awesome? So hurry, download Databuddy now and start enjoying cool paytm cash. Just install ladooo app and start completing their offers. You can see video ads and download small apps for making money. After earning sufficient amount, you can either use it for recharge or transfer it to paytm account. This app is available for free in play store. We are living in an era where one can’t sunder himself from internet. Especially those who are not on Jio’s network constantly seeking for the ways to generate free mobile data. If you are in hunt of such apps, then DataBack will cater for all your needs. You earn free 3G/4G data for using apps such as flipkart, myntra on daily basis. More you consume the data, more the cashback you get. Whatever credits you earn can be redeemed for either free data recharge or as a paytm cash. While there is no restriction on cashing out free MBs, paytm redemption is limited to Rs 15 per day. Similar to other apps, DataBack also rewards 5 Rs paytm cash per referral. You can invite unlimited friends, but only 3 successful invites will be counted each day. This is a lucky draw offer brought to you by Paytm. According to current offer terms, lucky user will get up to Rs 10,000 in wallet. This deal is availble for 10 Rs & after buying it, you have to answer only 1 simple question. Cashboss has delivered more than 13 crore Rs worth recharges to over 20 lac users across India. In recent update developers have integrated paytm wallet transfer option which was not there earlier. Hope you will really like this . So hurry now and grab free paytm cash now. Dont forgot to share .For More Trip & Tips , Subscribe our Newsletter and Be Tuned to Xdalab. I am a TechY one. 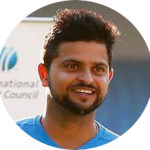 I am a Big Fan of Suresh Raina. Cricket & Blogging is one of the Fav hobbies I do in my daily Life. Follow my blogs for more articles.